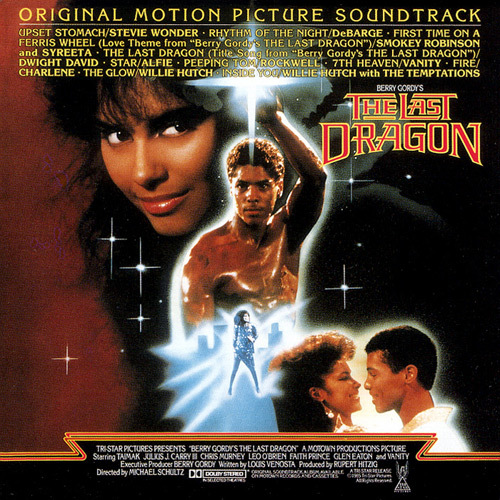 East along the hands to West in 1985 to bring an action movie and martial arts, among others, produced by Berry Gordy with the title of "The Last Dragon". Artists on the soundtrack as Charlene, Rockwell, Debarge, or The Temptations. Stevie Wonder contributes with a song written, produced and sung by himself. The title is "Upset Stomach", with a sound typical of those years 80.